Our mission is to encourage combat Veterans to share their wartime experiences on film or through writing. Our purpose is to share these stories online as well as in our community to provide a networking tool for Veterans to connect. 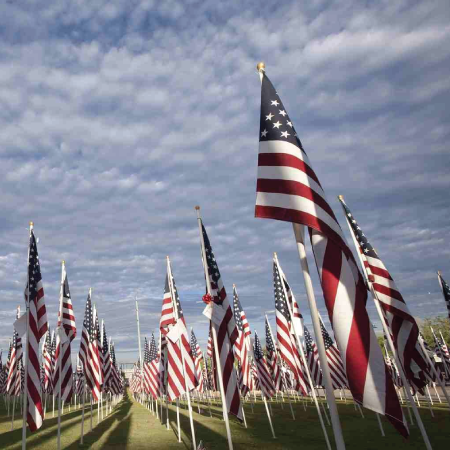 Join us Saturday November 18 for an afternoon of Veteran related short films and discussion. Admission is free and open to the public. Contact info@outsidemywire.org with any questions. Click here for more information and download the event poster to share! Dan McGuinness recently had a chance to share his story in a documentary. A story of his service “outside the wire”. A story of his injuries, his pain, and his suffering. A story of depression that lead him to the verge of suicide. A story he had bottled up for years. His story is unique, but not unlike many other veterans. 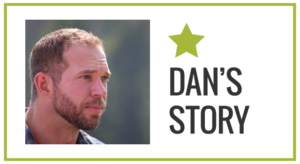 Dan knew his story could help others. Outside My Wire is a community for other to share their own stories. A community that encourages others that are bottling up these stories to get “outside their wire” and share. The process of sharing helps relieve the pain and helps others understand. 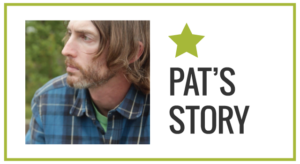 Pat served with Dan, and was inspired to share his story after hearing Dan’s. Pat’s story is unique to him, and equally powerful to watch. He’s another brave soldier, that ended up fighting a battle at home he didn’t see coming at all. 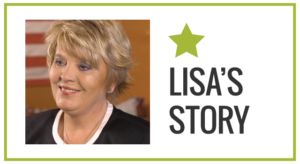 Lisa’s story is one only a mother can share. Released on Mother’s Day 2017, Lisa tells the story of her son, Dillion Naslund, and how he served and struggled. His struggle with PTSD eventually lead to him “completing” suicide (Lisa doesn’t use the term committed). However, Lisa and her family have chosen to share his story so he continues to serve, in hopes of helping just one other veteran or family. 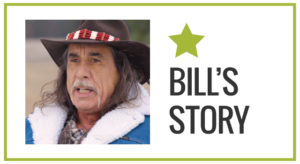 Bill’s story is one that reminds us all that you never realize how much one person can change your life. In his story he has a few life changers, but no more powerful than the love of his life, Sarita. Released on Valentine’s Day 2018, Bill shares the trials of returning to civilian life and hitting the lowest of lows, yet still finding a light to keep going. There are a lot of you that have been part of this organization. Thank you for supporting our efforts to get more people talking together and outside their wire. ©2017 Outside My Wire. All rights reserved.